When you list your home with us, you'll not only realize substantial savings in the commission you pay, thanks to our discounted real estate commissions, you'll also benefit from all of the most effective real estate marketing strategies. While many Realtors normally charge as much as 7% on the first $100,000 and 2.5% or higher on the balance*, we cap our commissions at just 5% on the first $100,000 and 2% on the rest! The bottom line? That's a savings of $4,050 in your pocket on a $500,000 sale! How can we save you that much money? The truth is, most people in the market for Vancouver area houses and condos for sale start their search online. So that's where we start, too. We've focused our marketing strategy on the tools we know produce results, including a substantial investment in online and social marketing. Learn how we market your property. 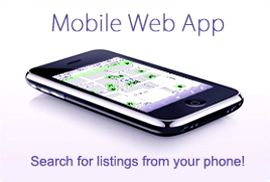 VancouverJustListed.ca provides motivated buyers access to the most powerful real estate search engine in Vancouver—including full web-enabled smartphone access and more features than MLS listings websites—so your property gets seen by people who know exactly what they want. Plus, unlike some discount real estate brokers, we offer the buyer's agent the usual full commission they expect. This ensures the full and enthusiastic cooperation of an entire network of Realtors across the region. More showings mean a faster sale and a better price for you. We absorb the commission discount, and pass the savings directly on to you, so there's no impact on your home's selling potential! Just because you're saving thousands of dollars in commissions doesn't mean you getting less. You get an experienced licensed Realtor® on your side when it really matters the most: Negotiating the best possible price and terms, helping you navigate the home-selling process, and protecting your interests every step of the way. When it comes to showing your property, a fully-qualified Realtor will always be on hand to personally show your home to potential buyers. We value your trust, so we never use lockboxes, hand out keys, or leave unlicensed staff to show your home. We take care of all offer documents and contracts, and coordinate all legal and financial follow-up with all lawyers, notaries, and the buyer's agent, right up until completion day. We even arrange the transfer of keys to the buyers. We submit the final contract to our conveyance office, the real estate board, and forwarding it to client's conveyance. We'll oversee and arrange access for any needed inspections, appraisals, cleaning, and home staging. Many discount Realtors expect their clients to pay for strata documents that are often requested by buyers. We will purchase these documents on your behalf, at no cost to you, and will deliver them to the buyer. We will screen and pre-qualify prospective buyers so your time isn't wasted by tire-kickers. You get full service from an experienced, licensed Realtor, while still saving thousands of dollars. NEW: Looking for even more savings? Sell your home on MLS for as little as $649 with our new "For Sale By Owner” Flat Fee MLS Power Package! Whichever option you choose, you'll get unbeatable value and the most powerful tools in the business. * This is just an example of a typical rate, since there is no standard commission rate, and not all Realtors charge the same commission rate. Savings as compared with a broker charging 7% on the first $100,000 and 2.5% on the balance. Rates will vary among Realtors, as there is no standard commission.